A unique Lotus Evora Sport 410 has been created as a tribute to one of its most famous ancestors, the Esprit S1. The iconic Lotus Esprit was driven by Roger Moore in the Bond film, The Spy Who Loved Me, which celebrates its 40th anniversary this year. 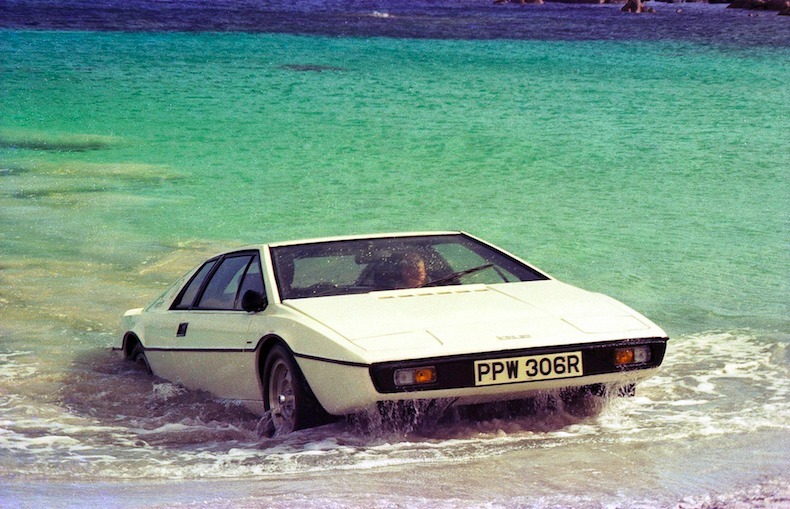 In the film, 007 famously drives his Lotus into the sea where it’s miraculously converted into a submarine car. 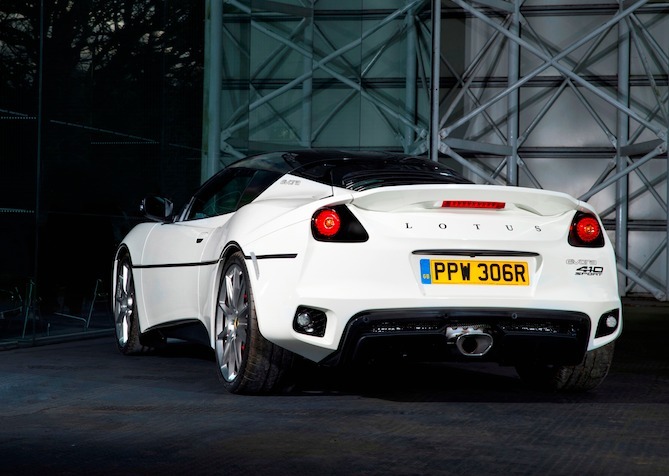 Lotus’ in-house personalisation department, Lotus Exclusive, has crafted a special, one-off Evora Sport 410 to mark the event – but it won’t travel underwater. Combining the latest in Lotus engineering with period details, the special Evora takes design cues from the Esprit and integrates them into today’s 410hp car that weighs just 1,280kg and can sprint from 0-60mph in just 3.9 seconds. 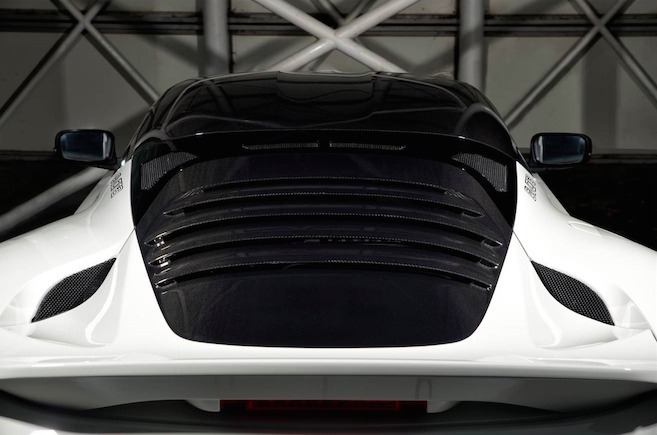 “So many of us recall the impact of the Lotus Esprit when it hit the big screen in The Spy Who Loved Me, and we wanted to honour that with a special Evora Sport 410,” explained Jean-Marc Gales, CEO, Group Lotus plc. “It’s the perfect tribute to such an influential Lotus, but a world away in terms of its abilities and performance. Supremely fast and agile, rivals’ cars look overweight and underpowered in comparison. Unique design touches in the tribute Evora include a colour-coded bumper, the one-piece carbon-fibre tailgate is part keyed white to give the illusion of a traditional liftback. In addition to a black coach line, delineating the car’s waist, it sports a bespoke badge script on the B pillar – in the style of the original Esprit’s graphics. Nods to the Lotus Esprit S1 from The Spy Who Loved Me continue inside, with the insert panels of the carbon-fibre sports seats and door cards trimmed in the popular heritage Tartan, while red contrast stitching complements the Alcantara dashboard and console finish. 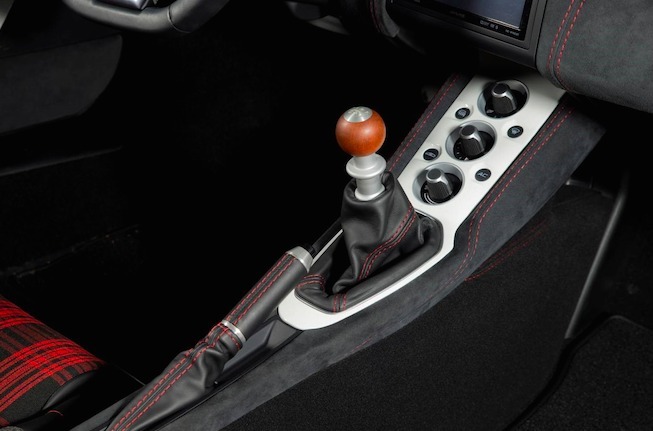 Beneath the personalisation, this unique car retains all the engineering elements that make the Evora Sport 410 so formidable – from the supercharged, 3.5-litre 6-cylinder engine to the advanced aerodynamics, which deliver up to 64 kg of downforce, making car designed to deliver both on road and track. Lotus CEO Jean-Marc Gales added: “Our customers have really embraced the Lotus Exclusive service, with 25% of new cars undergoing some form of personalisation. The “standard” Lotus Evora Sport 410 is limited to a global production run of 150 vehicles per year.